We realized pretty early that our daughter wasn’t going to be on the usual path to achievement. And when I saw how ballet classes went at age three I knew the visions of dance recitals, gymnastic meets, and all things athletic were never going to be reality. We had her tested and when we got the results of the IQ tests, whoa. This kid has potential. Potential is one heavy word. Potential means possibilities. Big possibilities. Maybe game changer possibilities. It’s like finding out your pee-wee football player has the same potential as Peyton Manning. She is capable of so much and as a parent it’s my job to help her get there. No pressure. That’s the bugaboo. Having potential doesn’t count for much in the real world. There aren’t any jobs that ask for your IQ. There’s not an IQ box on a patent application. That IQ alone won’t get you into a college. You need to demonstrate what you can do. What you have achieved. The IQ is the talk. The achievement is the walk. You have to walk the walk. 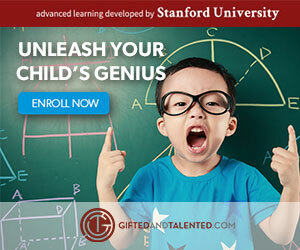 Lots of gifted kids, and not gifted kids, are passionate about a particular topic. Maybe it’s dinosaurs, space, weather patterns, or robotics. But my kid is content to sit back and watch Gravity Falls or read Calvin & Hobbes. Recently it’s been watching M.A.S.H. reruns. She claims she’s learning about the Korean War. She also believes Frank Burns was under-appreciated. Obviously she still has much to learn about the Korean conflict and worthy sitcom characters. She gets straight A’s and can rock a standardized test like nobody’s business. But she hasn’t found her “thing” yet. She hasn’t found her passion which would, I believe, lead her to achievement on a new level for her. She likes robotics and has taken several classes but when she had the opportunity for her own Mindstorms kit, she turned it down. She’s a mathy girl, but getting her to the local math circle is sometimes more than I can deal with it. At her first MathCounts competition she failed to finish all the questions, and she wasn’t concerned. Even with leaving problems unanswered she did well for her age and that’s good enough for her. Just imagine what she could’ve achieved had she finished. Imagine what she could’ve achieved had she studied. What Will Achievement Look Like? When I have the achievement conversation with her school, they look incredulous. They think I’m a wee bit crazy. By their standards, she is a high achiever. But I know better. She’s phoning it in. My current plan is twofold: continue to present opportunities that challenge her and to let go of my own ideas of what her achievement should look like. That’s a tough one but it’s getting easier to let go as she matures and finds her own voice. I have faith in the person she’s becoming. She’s a cheetah but she’s not at full speed yet. She’ll get there. No, I don’t know yet what achievement will look like for her – but I can’t wait to find out. 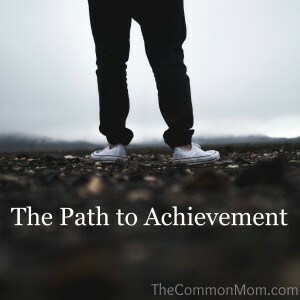 Visit Hoagies Gifted Blog Hop for more takes on achievement. My daughter joined the district quiz bowl team this spring. She loves it. No, I mean she LOVES it. Fist pumps and happy dances after a correct answer loves it. Her teammates are her peeps. Most of them are boys and in the gifted program. They don’t know she’s about two years younger than all of them and I don’t think they’d care. Because she’s good. Not the best at the literature categories but a whiz at science and math. And all Sherlock Holmes related questions. Practice is the highlight of her week. I was just getting ready to pick her up a few weeks ago when the coach called and he had that tone of voice that makes your heart sink. What?? What could happen at quiz bowl practice?? I’m picturing her trying to balance a chair on two legs and she whacked her head. Or tripped on the stairs and face planted. I just got into the car and started driving as the coach laid it out for me. One of the boys disagreed with her on an answer, grabbed both her arms and pinned them behind her back and pulled up on them until she cried. The team was split into two and her group was left in the charge of a high-school freshman who didn’t know how to handle the situation. Quick thinking teammates ran to the coach who got things under control. I’m hearing this as I’m pulling into the school parking lot and I’m trying to figure out how to react. Because I still can’t get my mind around that this happened at quiz bowl practice. You know, where a bunch of nerdy kids see how quickly they can answer questions. I don’t expect it to be physical. Walking up I see the boy standing outside the classroom. He’s big. Big like maybe a future linebacker big. His mom, I assumed it was his mom, was standing in front of him with a look that said nothing good was in his immediate future. My daughter was okay, the tears had already dried. By her own admission she was more scared than hurt. There were apologies from the boy to my daughter (before I got there) and profuse apologies from the coach. 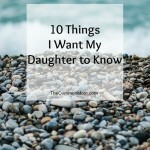 I left saying that I needed to process what had happened because I didn’t want to speak out of anger or until I’d had a full debrief from my daughter. But no matter what the story was it was NOT okay for him to put his hands on her. Period. The story goes that there was some disagreement about a question and the situation got out of hand. The boy lost his temper and grabbed her. She was scared and he didn’t stop until the coach came in. The boy apologized and she believed it to be sincere. I don’t know this boy but I’ve seen him at practices and tournaments. He’s like a big puppy that doesn’t know his own strength and gets excited and can’t control himself. But he’s not a puppy; he’s a boy soon to be a young man. He’s a boy who’s awkward and doesn’t fit in. 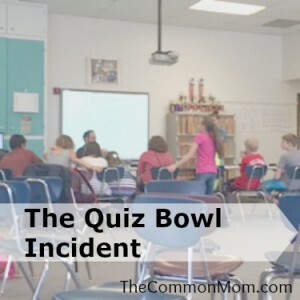 He’s a boy who loves quiz bowl as much my daughter does. He’s a boy my daughter had considered a friend. And still does. The coach emailed me that afternoon with more apologies and advising that the boy would be suspended and would miss at least two tournaments. There are only four tournaments this season. My husband and I talked about it and we thought the punishment sounded excessive given that we didn’t believe the incident was malicious. We said that we were not advocating for such a severe punishment but that we left the decision to him. We talked with our daughter to see how she felt about him being suspended. She didn’t like it and thought the team needed him. We had a looooonnnnggg talk about how it is NEVER okay for someone to put their hands on her like that. LIKE NEVER OKAY. And if it happens again she has our permission to use some of those martial arts kicks that she practices on her dad. 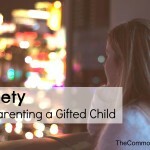 BUT – I do know I don’t want to be the parent that prevents a gifted kid from the one activity that keeps him (or her) sane. I do want to be able to distinguish between when a kid makes a mistake and when a kid is a malicious bully. 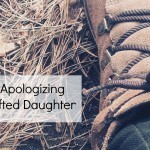 I do know I want to demonstrate for my daughter what forgiveness looks like. BUT – I also want her to know that real friends may disagree with each other and they may argue but they NEVER physically hurt one another. Was I wrong to let this boy off the hook? I don’t know. Sometimes it feels like I’m making this parenting thing up as I go. I guess we all are. I now sit in the back of the quiz bowl practice room mostly because I feel better about doing something. I try not to shout out answers on the occasion I happen to know one. 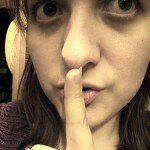 So, I’m pretty quiet. Have you had a situation like this happen where you weren’t sure what to do? How did you handle it? 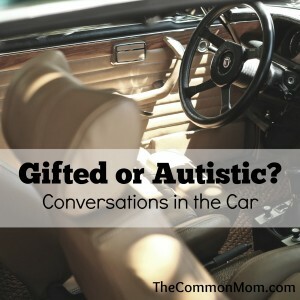 Am I Gifted or Autistic? The best conversations with my daughter come when I least expect them. Usually I’m chauffeuring her somewhere and she’s reading in the backseat. I find she’s most forthcoming if I don’t press too much, eventually it all comes out. You know, when you finally hear about what happened at school – two weeks later. Like how she refuses to join in the playground game of Harry Potter because they “play it wrong”. One of the conversations that weighs heavily in my mind and in my heart is when she thought she had autism. She was six, maybe seven, and in a stage where she worried much more about BIG things then little things. This particular day I was picking her up from school and I was in a hurry. Probably in a hurry to get to the dry cleaner or the grocery store. Somewhere really important. So given my busy agenda I wasn’t in the most patient of moods. Her: (in quiet little girl voice) Mom, I think I have autism. Me: (in exasperated mom voice) You do not have autism. Me: That doesn’t mean that you have autism. Her: (in logical little girl voice) I know, but I like science a lot and most other kids don’t. They don’t like the same things I do. Me: (in more exasperated mom voice) Well, you don’t. And just because you like science and math doesn’t make you weird. Her: (in panicked little girl voice) MOM! I never thought I was weird! Her: (in grumbly, sad little girl voice) Thanks a lot. Me: (in shocked and ashamed mom voice) …. Want to get some ice cream? Not my proudest parenting moment. It took a little kid who was just trying to figure out how and where she fit in to bring it home to me that being different isn’t weird. You’re not weird if you like science. You’re not weird if you have strict rules on how playground games should be played. You’re not weird if you have autism. It was just another reminder that words matter. What we say to and in front of our children matter. 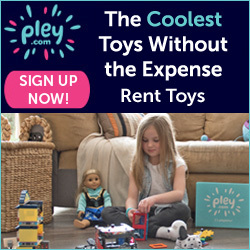 No, she doesn’t have autism. But even if she did, I wouldn’t think she was weird. 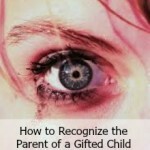 Professionals have a hard time determining if a child is gifted or autistic – why would I think a little kid could make that distinction? Some gifted kids are labeled autistic while some on the autism spectrum don’t get recognized as being gifted. What Genius and Autism Have in Common gives good examples of how the characteristics overlap. Share your experiences with autism – or questionable parenting moments – in the comments. April is Autism Awareness Month. Learn more about autism at Autism Speaks.